The Barn Ministry started in 1986 in Pleasant Hill, Ohio, in the garage of Larry and Bonnie Powell. Some weight equipment and a ping-pong table were the avenue for building bridges with teens. In 1988 the move was made to the second floor of the former Berry Building on North Main Street. It was simply called The Pleasant Hill Youth Center. This 30 foot by 30 foot room often over-flowed with more than 75 teens and the search was soon started for a larger place in the country. In the spring of 1990 the property where The Barn is now located was purchased. Improvements were made to this old former tobacco barn with the help of many people. The Barn's doors first opened on November 2, 1990. God continued blessing this ministry beyond Larry and Bonnie's wildest dreams, as youth and adults were coming from all over the Miami Valley and beyond. 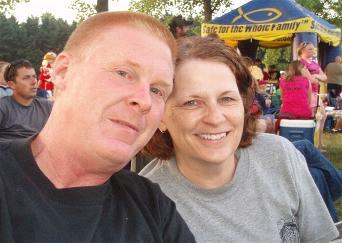 In August 2009, Larry and Bonnie retired and moved from the property. The work that was started over thirty years ago continues and we believe that the fruit it bears with impact generations to come.